By launching the wage union initiative, we leave the disastrous policy of the past 27 years behind. We want to create a comprehensive programme to raise Hungarian living standards and Hungarian wages, said Márton Gyöngyösi in his interview for Alfahír. 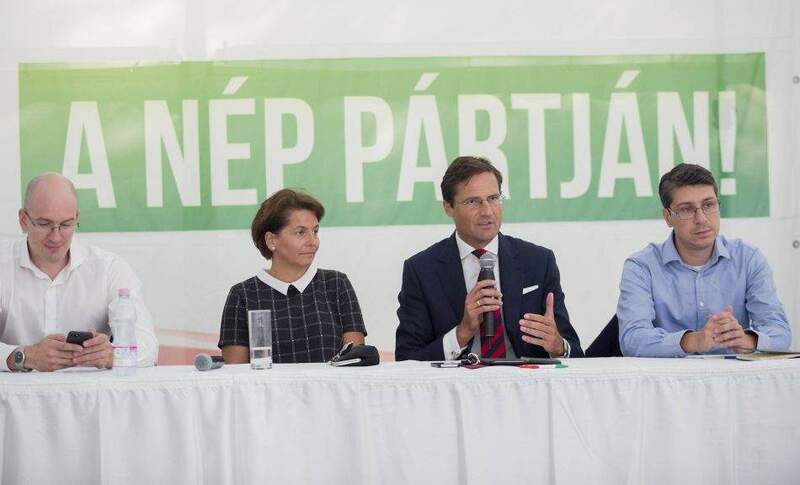 According to Jobbik press release, the Jobbik MP and representative of the Citizens’ Committee emphasized that the wage union was a long-term goal and they were quite aware how complex the process was, and that its implementation took time and a national strategy as well. 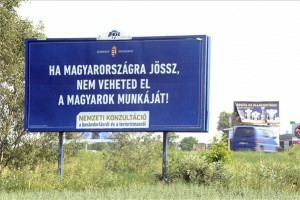 – The collection of statements of support for the wage union initiative has just begun in Hungary. What were the key stations so far to get you to this point? – Jobbik’s president announced the launch of the citizens’ initiative on December 18 last year, as part of his Vona18 campaign. Then we began to seek out international partners since we had to invite citizens of seven other EU member states to form the Citizens’ Committee. – We found the partners in two months, then we laid out the concept and objectives of the citizens’ initiative in a resolution on March 14 this year. Then we submitted the document to the European Commission. Two months later, on May 22, the Commission registered our initiative. The next milestone is August 20, when we begin the online and paper-based collection of statements of support. In the past month, we have been working on preparing for this great task in terms of data privacy and other legal issues. The campaign and the collection of signatures will begin in September in the other member states. – How many signatures do you need to collect? – We need to collect the statements of support from one million eligible EU voters. We can collect signatures from the entire EU territory but there is another condition as well: there must be a certain number of statements from at least seven member states. The particular figures are calculated by multiplying the number of MEPs of the given country by 750. –Hungary’s current governing party Fidesz-KDNP and the political left have both been attacking the wage union initiative. How do you explain that? – I consider Viktor Orbán’s, László Kövér’s, Tamás Deutsch’ or István Újhelyi’s statements, just to mention a few of the latest ones, to be driven by a petty partisan attitude. As far as the contents of these statements are concerned, they all try to play down the problem and pretend as if the proposition raised by the citizens’ initiative was not justified. 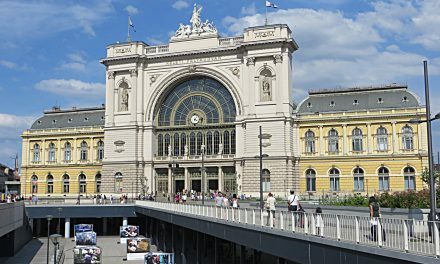 In a certain way, it does make sense for the political forces who have been governing Hungary for the past 27 years to try and avoid being confronted with the tragic outcome of their political activities. The fact that Hungary is in this current state and our economy still considers cheap labour as the token of integration even nearly three decades after the collapse of Communism, or the fact that huge numbers of Hungarian citizens emigrate to the west in the hope of better living standards, are all criticisms of the period we left behind. Fidesz and Socialist politicians, who are responsible for all this, should apologize to the people of Hungary and be busy laying out a new vision for our country, too. However, they apparently find that quite difficult. – What will Europe have to face if the huge wage gap between the EU’s central and the peripheral countries persists? 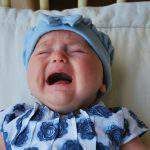 – The current trends show that Eastern Central Europe will become empty. The intellectual power of the region, the educated professionals of the best working age have left or are going to leave their countries en masse. If the young and talented layer of our society emigrates, it will lead to a social disaster as well as the collapse of our social security system in the mid and long run. The education and healthcare system will become unsustainable. The large state supply systems will be at risk if the active group ensuring their operation seeks and finds prosperity abroad. Let me also note that the influx of cheap labour may trigger negative processes in Western Europe, too, such as the pressure on the wages and supply systems. As of January 1 this year, Austria already adopted measures attempting to slow down and block the employment of people coming from the east. One of the reasons why French president Emmanuel Macron is coming to Budapest for the V4 Summit is to discuss the problems arising in France due to the workers coming from the east of the EU. 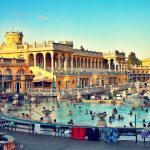 – So, the convergence of Hungarian wages to the EU average is the means to prevent Hungary’s collapse? – The wage union is a long-term goal. We are fully aware that it is a highly complex process which takes time. I can go as far as to say that it requires a national strategy. We must find the means to help the initiative succeed, which would also involve the rise of the countries in our region, thus leading to a well-functioning Europe with more solidarity. The citizens’ initiative is related to the vision of a new Europe, too. We want to offer our input to the debate, where so far only Juncker and Macron have laid out their concept for our continent’s future with their ideas that were somewhat unfavourable for us. The wage union is a huge opportunity for Eastern Europe. After Brexit and the other EU crises, we can finally see a meaningful debate unfolding and, at last, the choice is not reduced to us either accepting the Federal Europe concept or leaving the Union. Now we have several proposals on the table, and some sort of dialogue has begun among the organizations of the EU. So the moment has come for Eastern Central member states to voice their difficulties in this process as well as to come up with their proposed solutions. – The attacks on the wage union initiative are typically characterized by two approaches. The first says that Jobbik relies on Brussels to get a wage increase and is willing to give up some more of our national sovereignty in return. The second is that the wage union has no legitimacy as the European Commission has no competency over wages. – These critics either do not know the point of the initiative or have a malevolent approach to the project in the first place. By launching the wage union initiative, we leave the disastrous policy of the past 27 years behind. 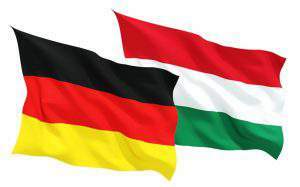 We want to create a comprehensive programme to raise Hungarian living standards and Hungarian wages. 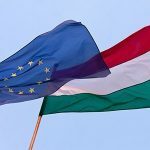 It is quite naive to think that Jobbik turned to the European Union to get the EU bodies determine a particular amount of money a Hungarian citizen should make. We are fully aware that the European Commission has no competency to do so. However, it does have the competency, together with some other organizations, to determine and identify the means that member states can use to eliminate economic differences. The EU has a programme to do just that, it’s called cohesion policy. – How effectively is it applied now? – The EU spends billions of the taxpayers’ Euros for this purpose without any visible result. The Union lacks the mechanisms to monitor and follow up these monies and to verify if they were truly spent usefully for the purpose they were allocated. There is no Commissioner for the cohesion policy, there are no reports, and Brussels does not seem to be bothered if some of that money is stolen or spent on totally useless projects. The reform of the cohesion policy would not only benefit the recipient member states but the EU’s net contributors as well. It is in the interest of all EU citizens to see how their taxes, the millions of Euros are spent. WAGE UNION – European Citizens’ Initiative can be found here! Vona: "An economic union would be "useful" while "politically each country should retain its independence"